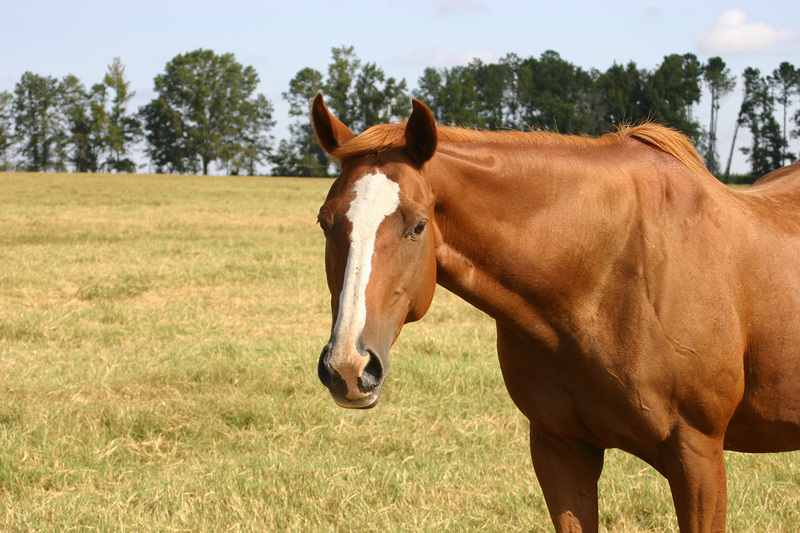 A very sweet mare who is a lovely copper color with lots of chrome. She had a career ending injury after only 4 starts, so she never won a race. She won at life though, because she gets to hang out with her herd in a huge pastures every day.